Peyton Westlake is a scientist who has discovered a way to produce synthetic skin. This could revolutionise skin grafting, except for one minor glitch; the synthetic skin degrades after 100 minutes of exposure to light. When gangsters attack Peyton, he is horrifically burnt, and assumed dead. 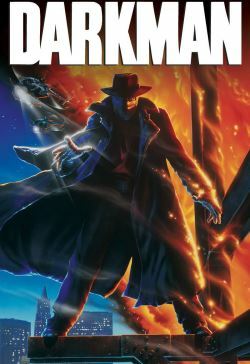 In his quest for revenge, Peyton, aka the Darkman, is able to take on the appearance of anyone (using the synthetic skin,) but he only has 100 minutes per disguise.